Our church family is made up of an all-age community, young families and older in fact three generations of family are within the church. We have junior church weekly and all-age worship monthly. We like modern worship (Songs of Fellowship 1-5) which is led by two guitarists and keyboard but still value traditional hymns. Our family has mature Christians and new Christians to nurture. 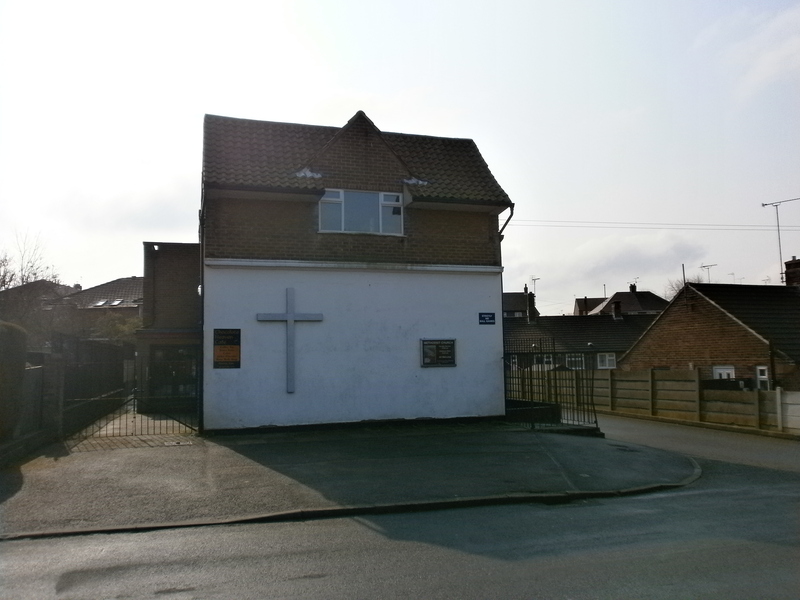 There are four local preachers and an experienced worship leader within the church family, and there is opportunity for everyone to be involved in reading lessons, take part in plays, to pray for each other and to develop skills and talents.Our worship area is equipped with a screen and data projector. Bible Study Group This group meets on Thursday mornings in a home group setting. At present there are eleven of us who meet and we have lively thought provoking discussion. The meeting concludes with prayer for others. Community Cafe – As part of our outreach we run a cafe which opens to the public on Tuesdays from 9.30 to 1.30. We sell good quality food at reasonable prices. Our dinners at £3-00 for main course is the most popular and we have regular customers who have become a luncheon club. During the Harvest season a fellowship meal was arranged and well attended by the group. We have Christian literature on the tables and prayer is offered when any are ill or in pain. Our minister leads a monthly assembly at Crompton View Primary School, Bilsthorpe; and the assembly team of four church members also lead a monthly assembly there. We have good links with the school as two members are school governors and their expertise is valued by the school. We have a collecting box for the foodbank in church and six members volunteer at the foodbank at Ollerton on a regular basis. For ten years the church has sponsored a girl in Guatemala as part of the ‘Adopt-a-Child’ charity.